Mold is one of the last things any homeowner wants to find in their house. It’s gross, it smells bad, and it’s unhealthy. Unfortunately, it’s a common problem many homeowners deal with especially in areas of higher moisture and humidity. Because this is such a likely issue to occur, it’s important to know the main causes of mold so you can avoid them from happening. If you have mold in your home, don’t hesitate to call the professionals at RestorePro in Sandusky, Findlay and Huron, Ohio to help rid you of your mold problem. 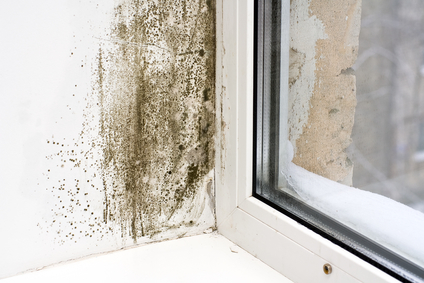 In especially humid climates, mold thrives. There doesn’t need to be anything wrong with your home for mold to grow unabated if it is humid enough. No matter what you do, it will always be a constant process to prevent mold from growing in that type of climate. Proper ventilation can help decrease the chances of mold growth, but if your home isn’t well ventilated, it can become an issue. A helpful metric is that mold typically only grows is there is above 55% humidity in the air. The areas around leaky pipes is a breeding ground for mold. If pipes are exposed the problem typically isn’t as bad since you’re more like to notice damage quickly and repair the problem. The real issue with leaking pipes is when they are outside of view like inside a wall. Oftentimes these leaks are only discovered when the smell of the growing mold becomes noticeable. One way you can keep an eye out for this is to check your water meter and water bill. If your bill suddenly skyrockets without explanation then you probably have a leak somewhere. By doing that, you may be able to catch the leak before it gets too bad and mold begins growing. Wet clothes around the house or outside are another breeding ground for mold growth. It’s easy to have wet clothes and then to forget about putting them in the laundry and leave them lying around. It won’t take long for mold to begin growing on those clothes. The moisture from your clothes could also lead to mold spreading to other parts of your home. Flooding is the most obvious way for mold to begin to grow in your home. Not only will the flood water lead to standing water that invites mold and mildew growth, but it will also saturate everything in its path. It is important to immediately extract and dry flooded areas in your home before mold has time to take over. In summary, there are many different ways that mold can begin to grow in your home and these are just a few examples. If you do your best to always be on the lookout for it and avoid the conditions that lead to mold growth then it shouldn’t be too much of a problem for you. If you do find yourself dealing with mold, though, don’t try to get it out all on your home. To properly rid your home of mold, you need to reach the source of the problem and that will require the help of certified and insured professionals that know how to find the source of the problem and eradicate it correctly. Reach out to the professionals in Sandusky, Findlay and Huron, Ohio for your mold cleanup needs.